Why do we need to frequently change water and clean gravel and sand ? It is important to keep a healthy environment for our underwater friends. Without water changes, invisible toxins build up in your tank creating toxic environment for the aquarium inhabitants. 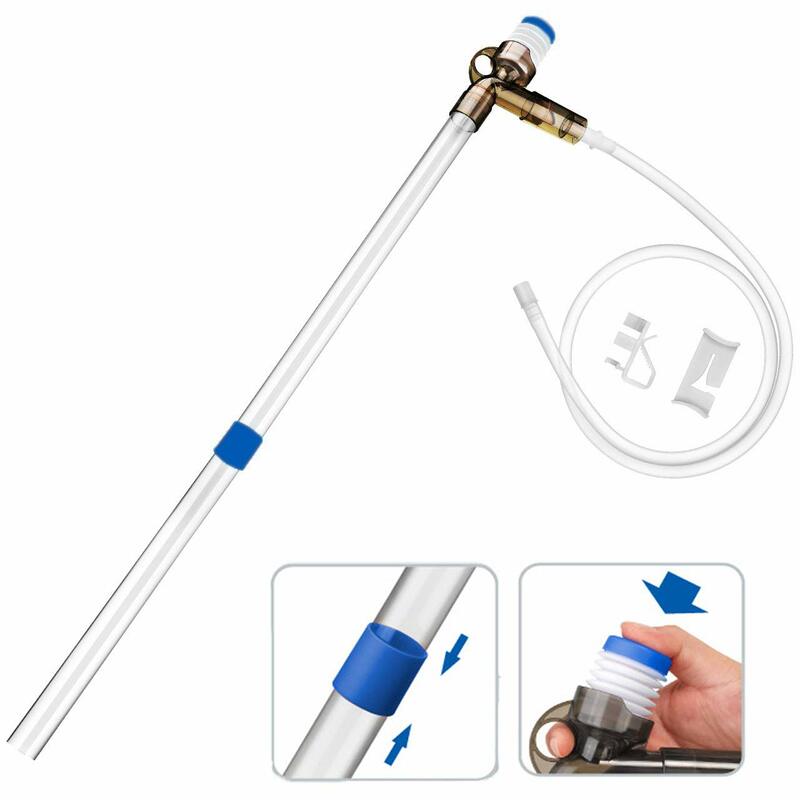 But, with this superior quality siphon gravel cleaner pump by capetsma, you can do routine cleaning and water changing frequently and effortlessly without hurting your aquarium fishes and the underwater world you create. How to clean gravel and sand ? Connect the intake and outlet pipe like the pic, put the hands-free draining intake pipe into aquarium, press the air-pressing button with fingers lightly for siphon action to work, it will continuously drain water and absord the residue, just remove the intake pipe from the tank at any time if you think it's ok. While draining,simply lift and release the gravel and sand to clean your substrate. Suction Tube Length: 11.8" + 15.7" (300mm+400mm), the two pipes can be extend and combined together. The depth of the fish tank it fits is 32.2inch or less. Can fully meet the needs of your big aquarium. 1.Please clean the internal garbage regularly. 2.Please check for air leakage when connecting the pipe. 3.The position of water outlet must be lower than the inlet when in use(at least 19.6inch).